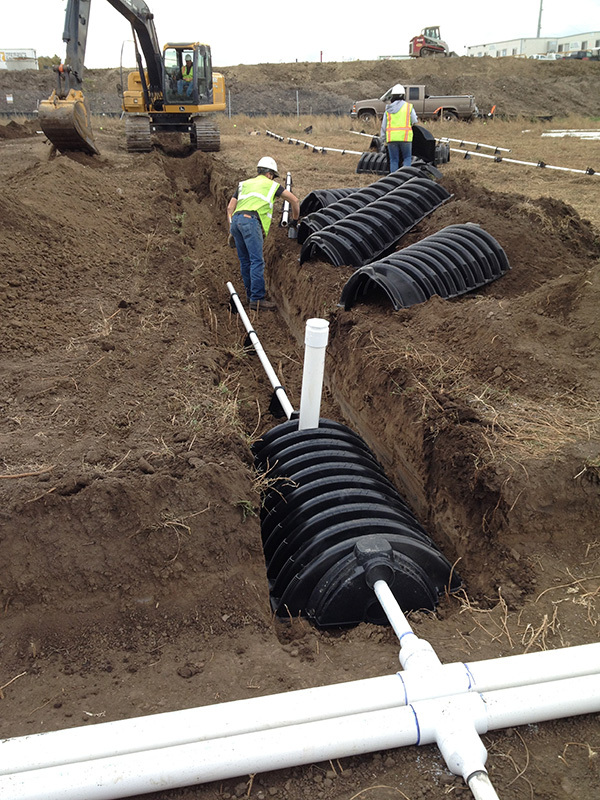 This project consisted of design and approvals for a 76,800 gpd wastewater disposal system for a 320-unit apartment building located in an unsewered area of Williston, ND. The system design required locating an area of the site with suitable soils that would mesh well with existing development plans. 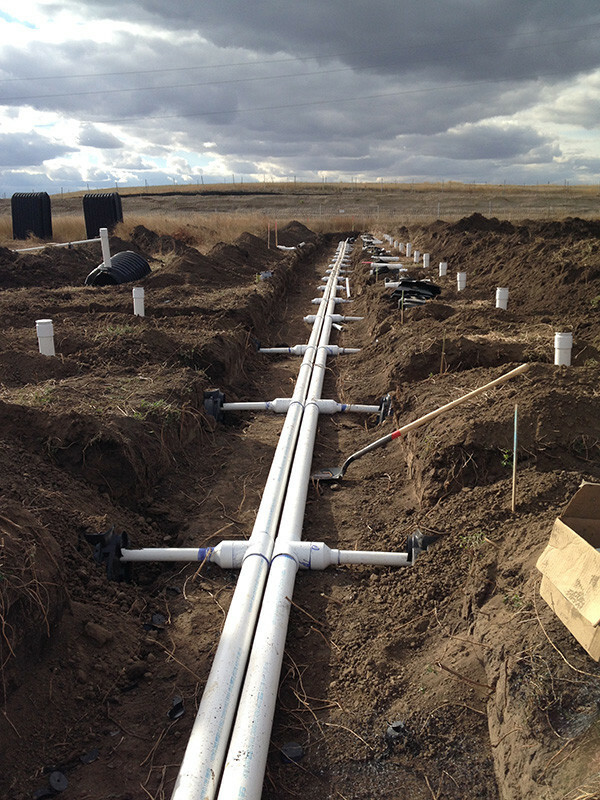 The on-site system includes wastewater treatment via an Orenco AX-MAX and a chambered trench disposal field. 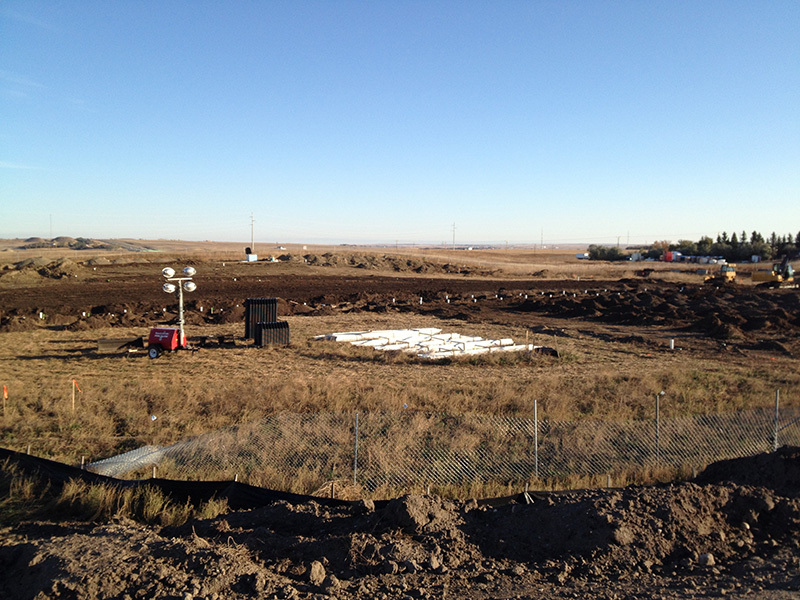 Following approval by the North Dakota Department of Health, the system was constructed and startup was initiated in 2014.